Those who know Danner boots can describe their products with one common word: quality. When you consider the Danner philosophy that one quality pair of work boots will outwork and outlast three of the other alternatives out there, you will find that this investment ... (see full details) (see specifications) #16283. Those who know Danner boots can describe their products with one common word: quality. When you consider the Danner philosophy that one quality pair of work boots will outwork and outlast three of the other alternatives out there, you will find that this investment pays off in the end. When you need safety toes but hate the added weight they bring, you need these Danner Men’s 16283 Brown 6-Inch Workman Alloy Toe Waterproof EH Work Boots. Lighter in weight than most safety toe boots, Danner has take the popular Workman 6-inch men's boots and made them even better. Top quality from the outside in, these Danner work boots are going to keep you going, no matter what the day brings. The tough full-grain leather uppers are the best in the business when it comes to work footwear. Durable yet supple, you'll have full range of movement while maintaining tough and naturally abrasion-resistant exteriors. These rugged leather lace-up uppers are attached to the durable low-lug Vibram outsoles with the flexible Goodyear Welt construction. This combination of stitching and glue is the toughest connection in the business and has the added benefit of being repairable and replaceable if needed. A skilled shoe repairman can remove the old outsoles and replace them with new when you’ve finally managed to break down the durable Vibram outsoles. (Trust us - it’s not easy and it takes a very long time.) This breathes new life into your favorite brown leather boots and increase the overall value of them over the long term. The insides of these Danner Workman alloy toe boots are built to last as well. Lined with 100% waterproof breathable GORE-TEX membranes, your feet will be surrounded by the best waterproofing men's boots have ever seen. These membranes feature microscopic holes that allow air flow around your feet, pushing sweat vapors out while refusing to allow water molecules inside. This means whether it’s sweat or rain, your feet are dry and dry feet and much more comfortable in all kinds of weather extremes. The all-new Vibram SPE midsoles offer cushion and rebound to your feet as you walk and stand, this reduces foot stress and increases stamina throughout the day. The lightweight Bi Fit boards stabilize your heels and your step while allowing all the necessary flexibility in the front of the waterproof boots. Not to mention the alloy safety toe caps, a lighter weight option than steel, still meet or exceed ASTM F2413-11 M I/75 C/75 EH standards. The EH indicates you'll have a layer of electrical hazard protection as well. And with all of that, these 6-inch rugged leather work boots still weigh in at only 58 ounces. So when you’re looking for men's footwear that lasts, you need to consider this brand. For lightweight safety toe options, these Danner Men’s 16283 Brown 6-Inch Workman Alloy Toe Waterproof EH Work Boots from Working Person's Store are second to none. 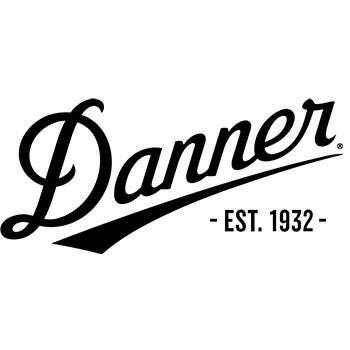 Enjoy the comfort and stability of these top quality work boots for years to come when you invest in your very own pair of Danner boots. I thought I would try these Danner boots instead of Chippewa. That was a mistake. I ordered a size 10 1/2 it was too small and I ended up needing a size 11. Danner Boots: Men's 16283 Waterproof EH Brown 6-Inch Workman Alloy Toe Work Boots is being added to your cart.